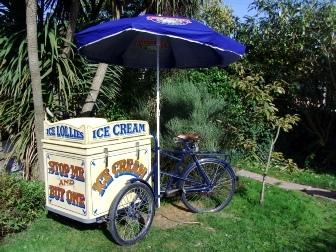 We have two ice cream tricycles for hire from the 1940’s and 1950’s era Original Stop Me and Buy One Bikes. 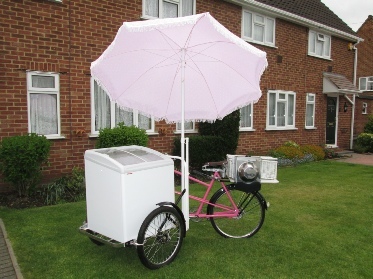 The cool box on the front of the ice cream trikes, can hold 16 x 4 litre tubs of scoop ice cream or 300 small (120ml.) 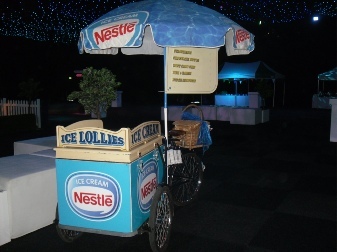 tubs of ice cream, the cool box can also be used to hold frozen lollies or cool drinks. An electric freezer can be supplied. 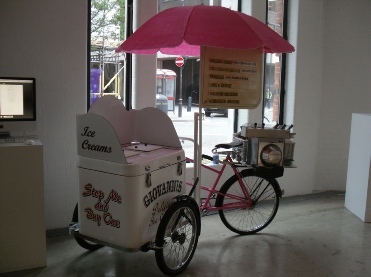 The ice cream cool boxes maintain there temperature for 3 to 4 hours as they use 4 large eutectic plates (supplied). These Eutectic Plates after being in a deep freeze cabinet for at least 12 hours (24 preferred), can be placed in to the holders on the inside of the front cool box, they then will keep the temperature a bout -18 degrees for up to 3 hours, keeping the ice cream in a good condition to serve to clients and customers. 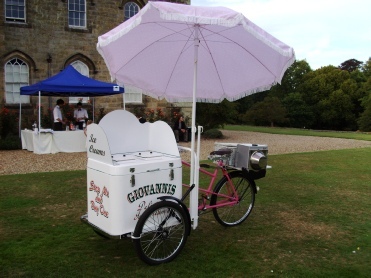 Classic Ice cream Bicycle hire. All our staff are accommodating, polite and well presented, they will aid with your promotion activities and wear suitable colours or you promotion clothing. Always on time. If you have any specific request……Just Ask! 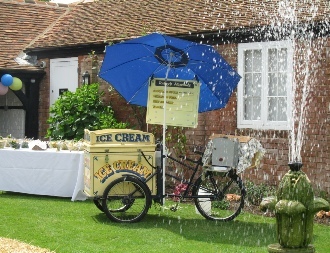 These ice cream tricycles are original Pashley Trikes from the 1940’s and 50’s and due to the size of the tricycles, they damage quite easily! The repair often outstrips the cost of our standard transport charges, We would advise anyone thinking of hire these stop me and buy one bicycles to think of the cost should any damage be incurred; i.e. The repair, the transport to and from the repair shop, and the hire charge continues until the trike is back ready to be hired out. again. Alexandra Palace, Business Design Centre, Beaumont Estate, Bournemouth International Centre, Donington Exhibition Centre Donington Park, Earls Court, Novotel London West, Epsom Downs Racecourse, ExCeL, G-Mex Centre, Hilton Brighton Metropole Hotel, Wokefield Park, The O2 Arena, The Brighton Centre, Manchester Central Convention Complex, National Exhibition Centre, Old Billingsgate, Olympia, Ricoh Arena, Queen Elizabeth II Conference Centre, Sandown Park Exhibition and Conference Centre, Stoneleigh Park, Windsor Racecourse,The Royal Armouries Museum, Calcot Hotel, Telford International Centre, Cardiff International Arena.